Cause distress in this challenging fast-paced action platformer. Experience a dark cartoon world come to life as frenetic gameplay meets comic book visuals and storytelling. Dash through beautiful arenas vanquishing vampires, rescuing hostages, disarming bombs, hacking servers and much more. Hi! I’m Gareth, level designer on Damsel. Normally, I’d be talking a little about a section of the game I’m working on, but today I thought maybe I’d explain a little bit about what we’re aiming to make. I, like a few other members of Screwtape Studios, didn’t have a videogame console during the 8 and 16-bit eras (not until the Gameboy came along at least). 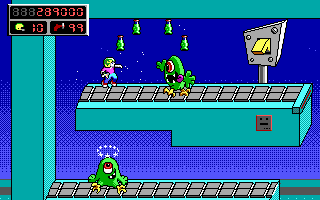 I got my start in videogames playing shareware (and let’s be honest, pirated) games on my Dad’s PC. While friends were playing Mario and Castlevania, I was zapping Vorticons in Commander Keen and grilling zombies in Halloween Harry. Damsel is our love letter to those PC shooty platformers. 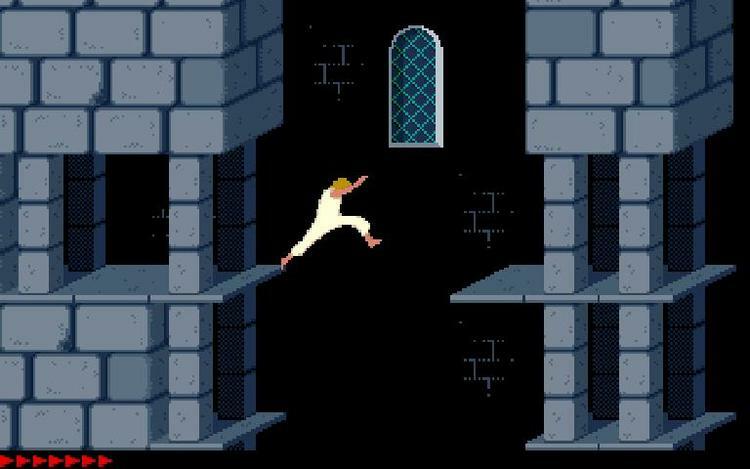 Steam is packed with plethora of modern games taking their cues from big console platformers like Metroid and Sonic, but we wanted to show some of those PC classics, like the OG Duke Nukem and Prince of Persia, some love. We wanted to make a game that focused more on exploration and secrets and puzzles than manic action and twitch reactions. We wanted to take all those things that made that era of PC platforming great, and update them for a modern era. So, that’s what we’re doing. You’ve probably seen the pre-alpha video we’ve released by now, some eagle-eyed viewers might have even picked up some references that harken back to some of those classic games. My goal is more of that: Larger levels that are crammed full of mysterious secrets and Nazi gold. You might have also caught a hint at how we’re going to include some of those higher-level secrets. Maybe there will also be some hints in the devblog posts? Maybe… There’s even a hint hidden in this post? Keep reading to find out!